Recently, I've been working through an amazing book -- Chronicles of Dinosauria by Dave Woetzel, which is published by Master Books, a division of New Leaf Publishing Group. 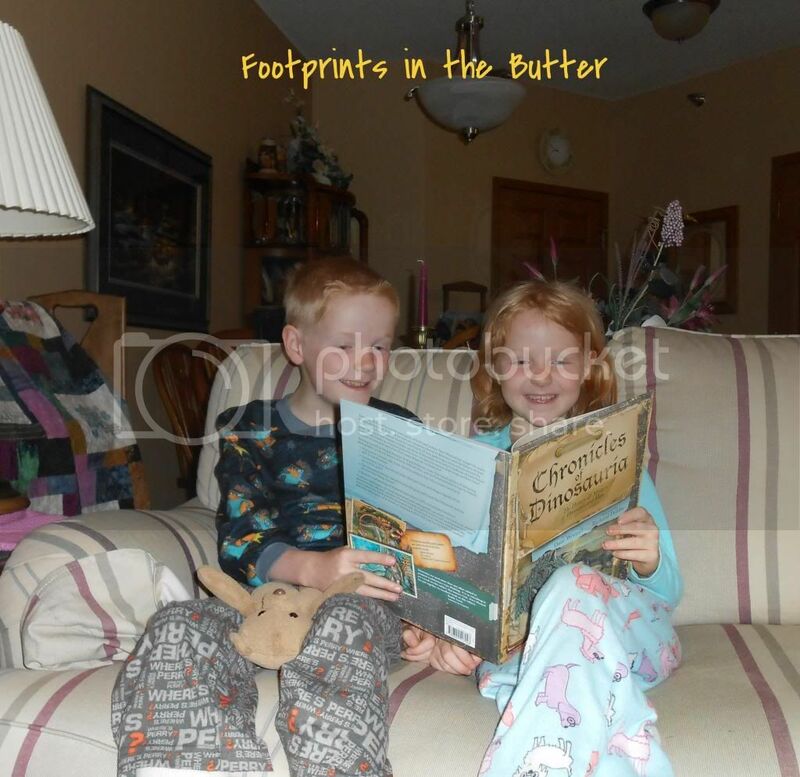 Initially, I was reading the pdf file on my Kindle, and I really loved the text, but had a hard time doing anything to get my kids involved. It was too hard for us to use that way. Once the actual book arrived last week, I was completely wowed by the whole thing -- the pictures and text complement each other so well. Clearly, Richard and Trina are enjoying the book too. Richard is busy in this photo pointing out the spots on one of the dinosaurs. Explore legends, mythical sightings, and intriguing explorations from around the globe! Enjoy the unique combination of visual illustrations and unforgettable accounts. Discover why the author calls into question what we've been taught to believe and understand about the history of dinosaurs and man. Every legend is said to include some grain of truth, and for years co-author Dave Woetzel has sought to separate fact from fiction as he explores mysteries related to dinosaurs, mankind's history, and the biblical time-line. Teaming with artist and designer Richard Dobbs, the two have created a visual archive of expeditions and intriguing clues to explore, all of which highlight the connection to the authority and reliability of Scripture. Provocative artifacts from around the world are examined in an exquisite, full-color book that hints at man's familiarity with living dinosaurs. Studies point to more than simple answers beneath the waves of Loch Ness, and other sites around the world, many investigated personally by the author. Here is the study of cryptozoology and the discoveries that seem to defy all evolutionary time-lines, vividly illustrated and filled with rare photos. That description does a good job of covering what is included! The kids were fascinated just looking through the book. The illustrations are incredible, and there is a huge variety. Pictures alone aren't usually enough for me to highly recommend a book though. I was all set to write a great review of this book before I got the physical copy, and that was primarily based on the text. My favorite sections were those that talked about Historical Evidence of Dinosaurs and Man (chapter 4), Artistic Evidence of Dinosaurs and Man (chapter 5) and Cryptozoology Evidence of Dinosaurs and Man (chapter 6). The historical evidence brought up a couple of things I have heard before, but there were so many examples that were either better explained, or that I had not heard. I particularly loved the discussion (and photos and drawings) of the Vikings. I didn't expect to enjoy the Art chapter, as that seems to be a topic that is brought up a lot with books of this type (evidence of the coexistence of dinosaurs and man), however, I did really like this chapter too. It wasn't just the same Ishtar Gate, Chinese dragons, Cambodian temples and cave paintings. There were loads of other examples too, and even moreso, the commentary about the various art was thought-provoking. The best chapter, though, according to my kids especially, was the cryptozoology one. Crypto-what? Cryptozoology: the science of hidden animals. Who knew there was such a thing? And yes, some of my kids have a new career path in mind now. This chapter covers things like the Loch Ness Monster (though Nessie doesn't get much space in here). This is a great book, especially for any dinosaur lover. Of pretty much any age. 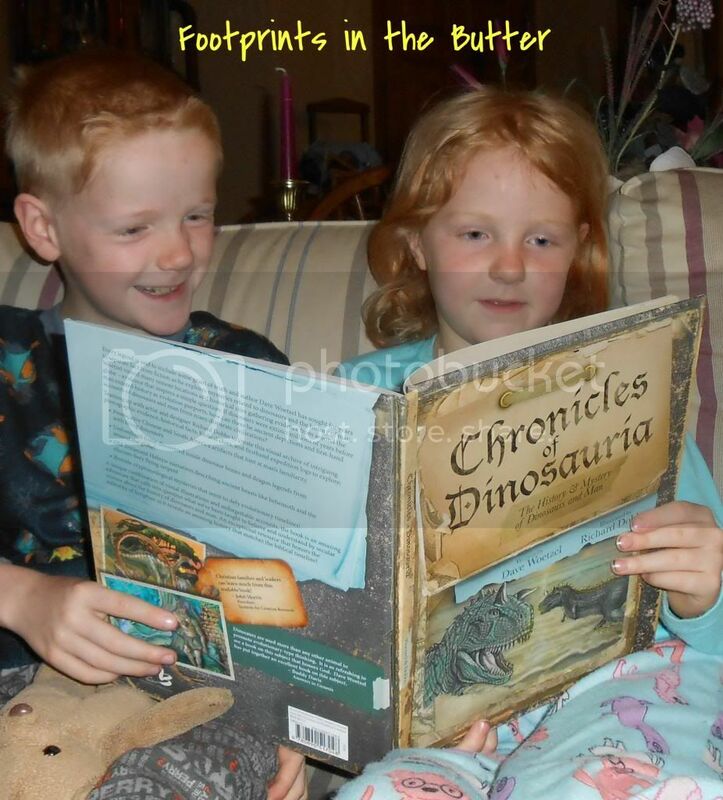 You can go see what other Moms of Master Books have to say about Chronicles of Dinosauria! 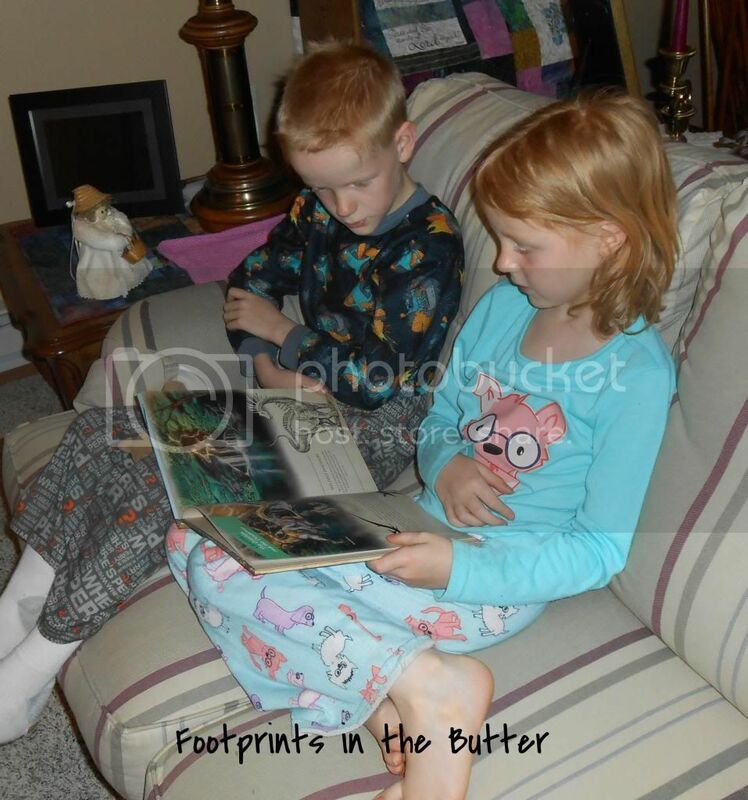 I love seeing your kids enjoying learning :-) Your comment about the pictures and text is why I will always love actual books over e-reader versions. I like having a kindle, but it's just not the same experience as holding the actual book in your hand.